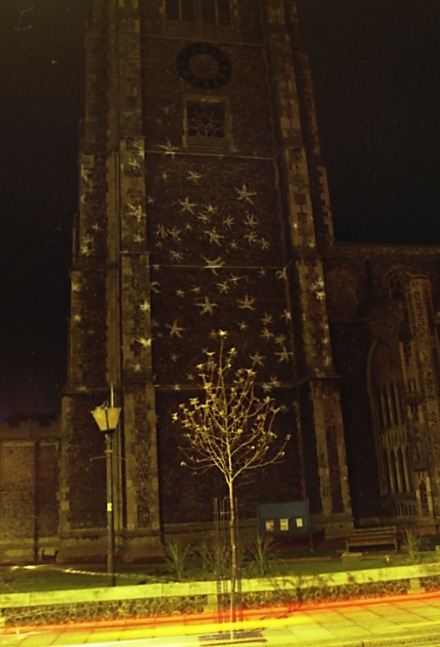 Artlights was a festival of projected image in Cromer and was part of Cromer Prospect, the town’s regeneration project. 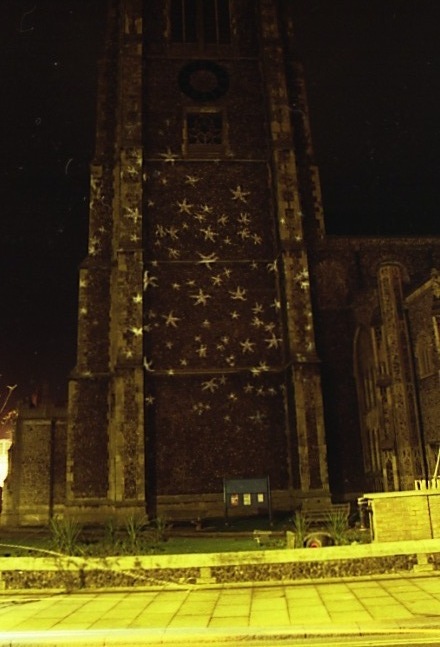 Working with Commissions East and North Norfolk District Council, Margie Britz and I projected a galaxy of starfish onto the great tower of Cromer Parish Church. The flints that face the church tower were formed, over millions of years, from sea sponges, a species related to the starfish that are washed up on local beaches. We used these starfish as templates for the stars in the galaxy.